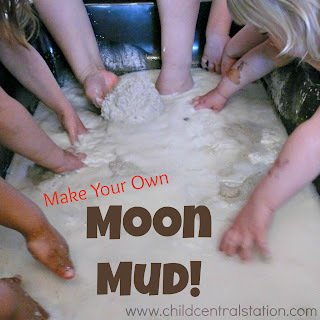 Children are always intrigued by mud, but there is something about "spring" mud that holds their attention for even longer. Maybe it is the cooler temperature or the hard base found just a few inches below where the ground is still frozen. It is hard to say why, but whatever the reason they simply cannot get enough of it! We've been having a GREAT time enjoying the sunshine and the mud this week! We watched in anticipation of our annual "St Patty's Day" storm today. Fortunately, so far, we've only seen rain! Maybe spring really is on the way! I'm glad we're heading into the time of mud instead of the time of ice! Hope your kids keep enjoying the spring mud. We are enjoying mud here is Saskatchewan too, and so far the weather is staying pretty good. You describe the qualities of mud in early Spring just perfectly! Setting up my girl's mud kitchen sometime this coming week and I cannot wait. I know Sam is going to love it. But the mess also terrifies me!